Napoleon Hill's life changing philosophy of success, originally published in 1937, has sold millions of copies and changed just as many lives. His simple, revolutionary "13 Steps to Riches" form a philosophy of empowerment that will allow you to seize the life you want and achieve the success you've dreamed of. 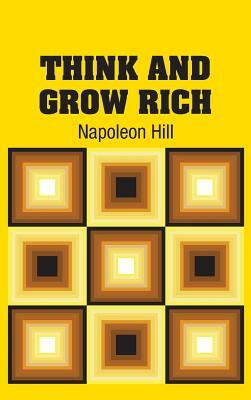 Think and Grow Rich has been credited with helping to inspire more people to become millionaires and billionaires than any other book in history. And now, in this new edition, it will bring the timeless message to the next generation. With the stunning, modern package, this unique edition features not only the original and complete 1937 text, but also includes two exciting pieces from Napoleon Hill--"Let Ambition Be Your Master" and "What I Learned from Analyzing Ten Thousand People"--that are only available here. Napoleon Hill was born in 1883 in a one-room cabin on the Pound River in Wise County, Virginia. He is the author of the motivational classics The Laws of Success and Think and Grow Rich. Hill passed away in November 1970 after a long and successful career writing, teaching, and lecturing about the principles of success. His lifework continues under the direction of the Napoleon Hill Foundation.